After seeing how helpful the Vinyl Liner Roundup thread was I thought it might be a good idea to start one about LED lights. 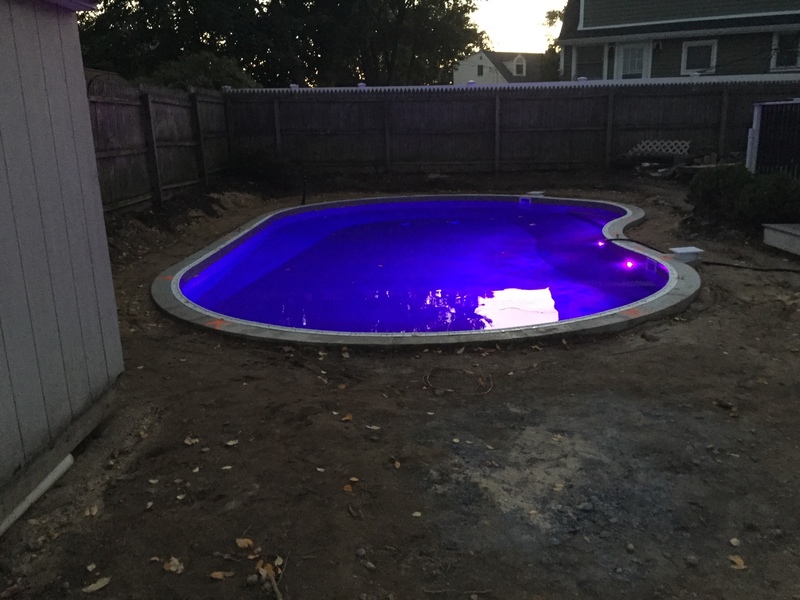 I am currently trying to decide on which way to go for our pool build. It would be helpful to include some information about your lighting setup and if you would recommend those lights. Pictures too! We just finished our build an we just put in the Pentair Intelli LED lights. One in the pool and one in the spa each independently controlled, they look awesome! 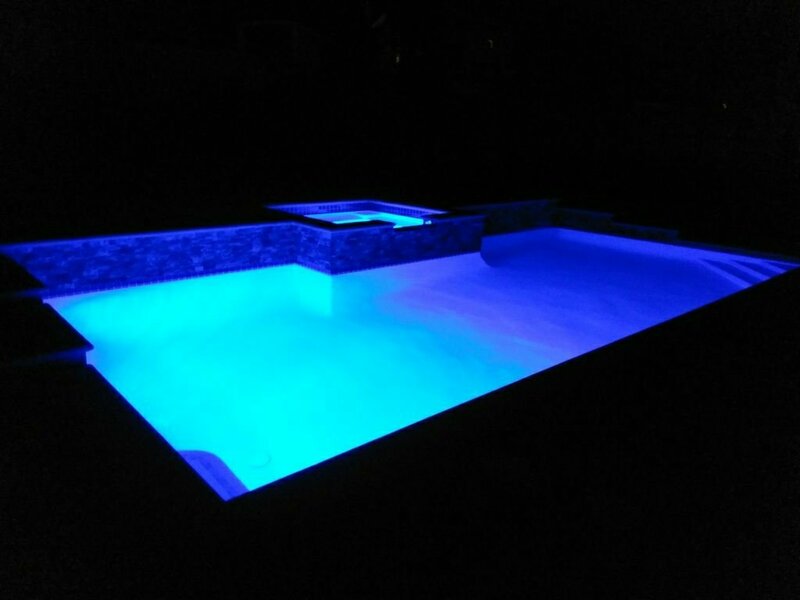 I love hanging out at night by the pool. 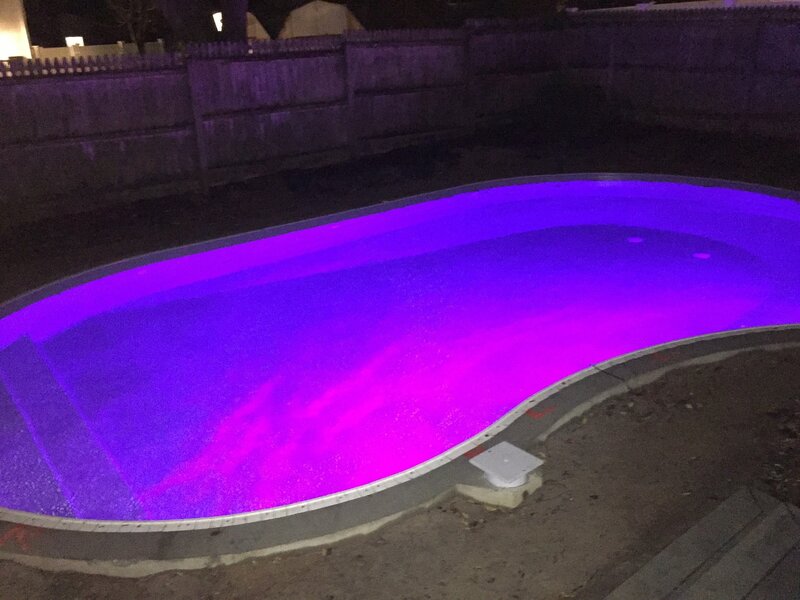 30'x15' and yes it's darker at the shallow end and I thought I missed an opportunity and should have put one in the shallow end to have complete brightness but it's too late now. After the fact I really don't regret it much. You can see in the picture how the light loss is, but it still lights across all the way. In the end I'm fine with it, it looks beautiful and I love it. So really, it's going to come down to your personal preference. But the LED's are the awesome and I'm as happy as I thought I would be with them. Thanks! Our pool sizes are similar. Mine is 32x16. The pic helps visualize. Thanks for the info! Nice! Are they the nicheless version? Thank you. Yes, they are nicheless.